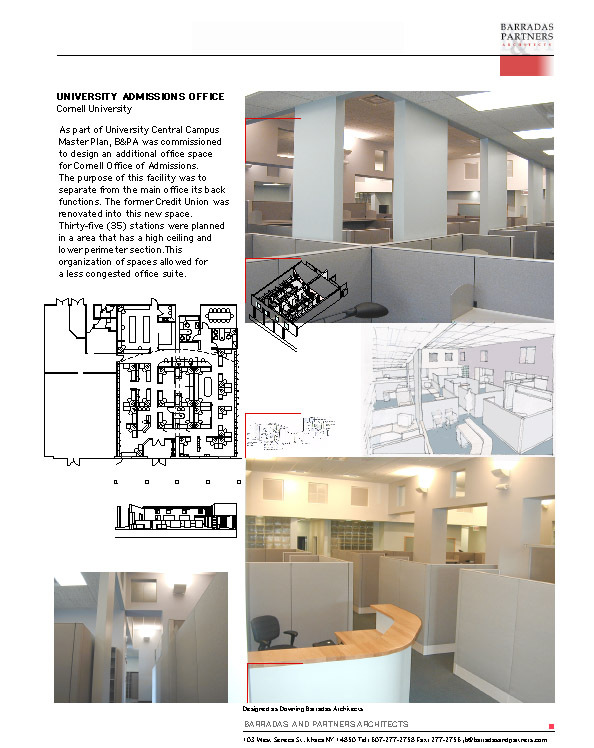 A site plan for a 5,000 square foot As part of University Central Campus Master Plan, B&PA was commissioned to design an additional office space for Cornell Office of Admissions. The purpose of this facility was to separate from the main office its back functions. The former Credit Union wasrenovated into this new space. Thirty-five (35) stations were planned in a area that has a high ceiling and lower perimeter section.This organization of spaces allowed for a less congested office suite.